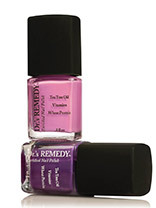 Dr.'s REMEDY is a line of podiatrist formulated nail care created by board certified podiatrists, Dr. Adam Cirlincione and Dr. William Spielfogel. 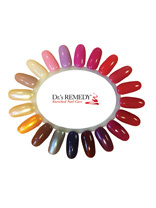 The collection of nail colours and nail care solutions can minimize the appearance of dry brittle nails, hydrate nail cuticles and improve the wear-time of your nail colour. 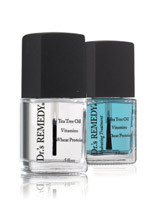 A 7 FREE nail care system of naturally occurring, non-toxic, nourishing ingredients not found in traditional lacquers. Every bottle is free of formaldehyde, formaldehyde resin, toluene, parabens, and phthalates—all potential carcinogens. 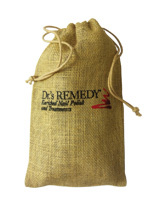 • Vegans, Dr.’s Remedy utilizes a range of organic ingredients.